You searched for which does not fit your . We've redirected you to 160-0251, which has the proper fitment. First time Indian Scout owner. Wanted something to improve the stock exhaust. 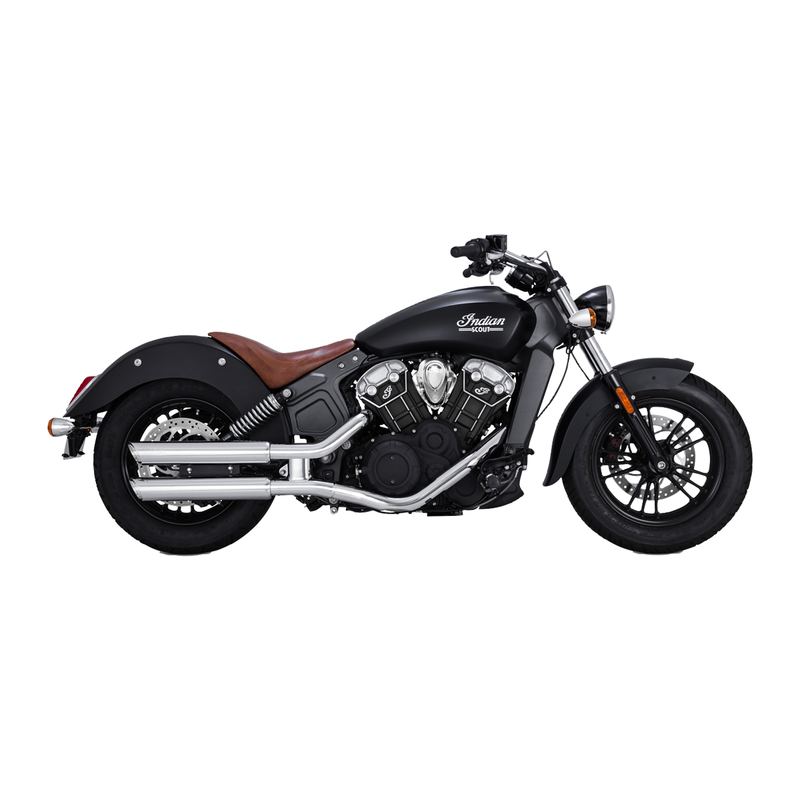 Chose these pipes with an Indian stage 1 air box. Awesome throttle improvement and the bike sounds so good. I wasn’t going for a Harley type ride but the nimble Scout rumbles and roars now. These exhaust look amazing and they sound amazing. The problem I have with them is they are actually too darn loud and as I ride, even with a full faced helmet, It hurts my ears and I have a hard time hearing my sena. Just ordered the quiet baffles to calm them down. If those don't work, I will be putting original exhaust back on. Easy to install and great sound! So much better than the stock mufflers. Nice deep grumble. All I have to say is, they sound great!!! !